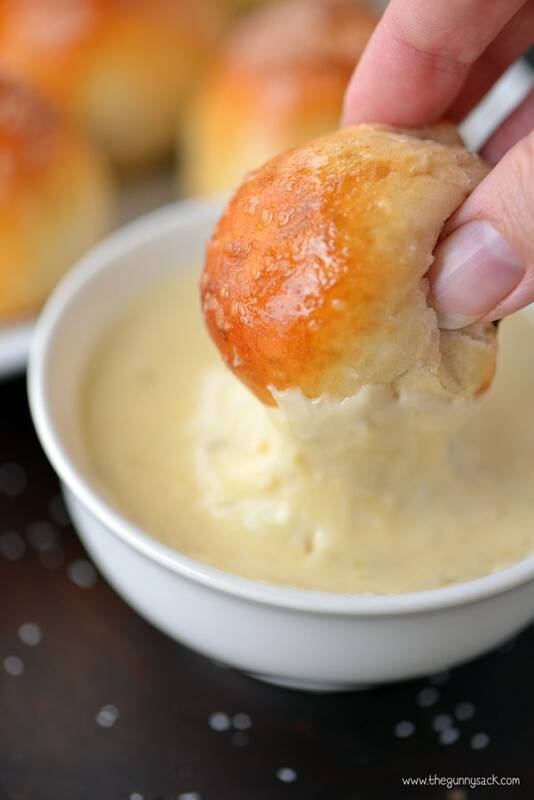 While we are still officially on Christmas vacation, I wanted to take a few minutes out of our crazy schedule this week to share a couple of appetizer recipes that are perfect for New Year’s Eve! 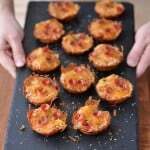 Today I am sharing a recipe for Pretzel Pizzas Cupcakes. Soft pretzels have been popular for quite some time, but we love that there are now pretzel pizzas and pretzel burgers! This recipe starts with an easy, homemade soft pretzel dough that only needs to rise for one hour. To make the pretzel dough, dissolve yeast, sugar and salt in warm water. Stir in flour. 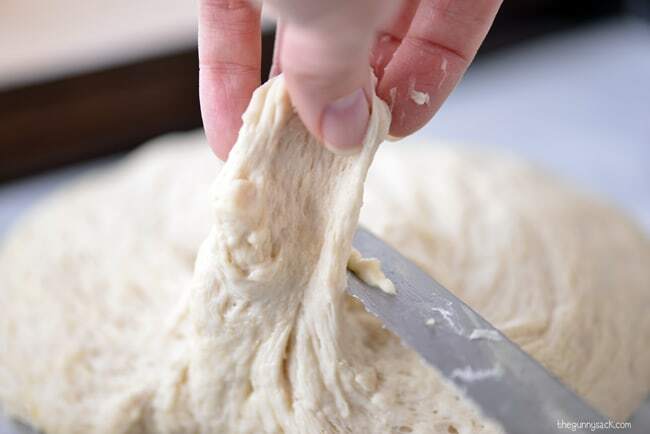 Knead until smooth and elastic. Place the dough in a well-oiled bowl and turn to coat. Cover and let it rise for one hour. You can find step-by-step images of this soft pretzel dough in my blog post for Auntie Anne’s Inspired Soft Pretzel Nuggets. Pinch a small piece of the pretzel dough and cut it off. Dip the pretzel dough in a mixture of baking soda and warm water. This step is what gives the crust it’s pretzel flavor! If the baking soda settles on the bottom, give it a stir every once in a while. 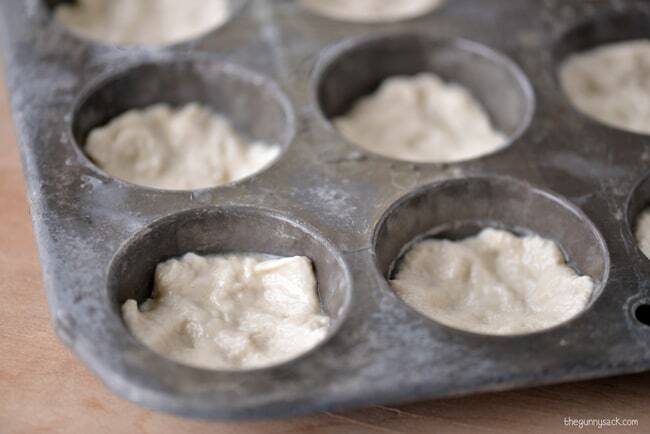 Press the dough into the bottom of a greased muffin tin to give them the cupcake look and sprinkle with kosher salt. Bake for 7-8 minutes at 425 degrees. 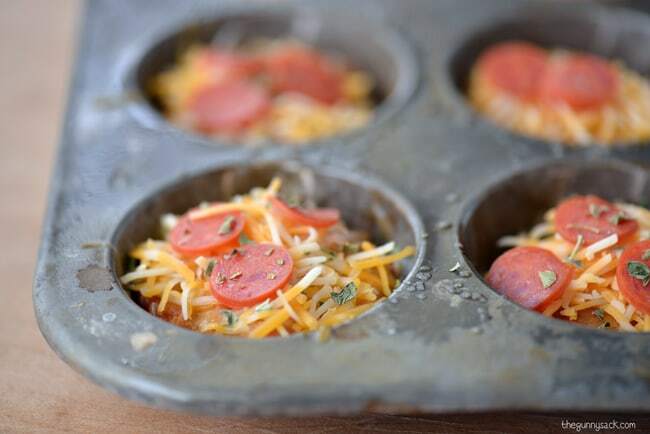 Top with shredded cheese, mini pepperoni, and oregano. Bake for an additional 3-5 minutes, at 425 degrees, or until the cheese is melted. 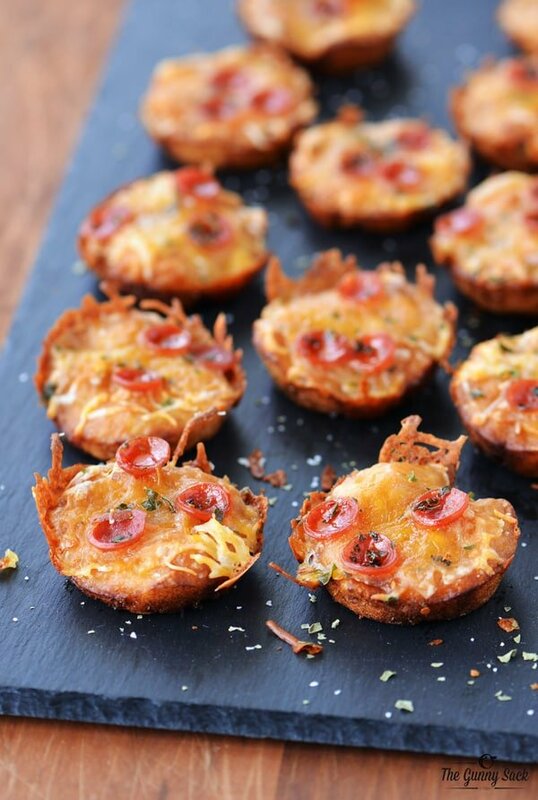 Remove the pretzel pizza cupcakes from the muffin pan and place them on a serving tray. 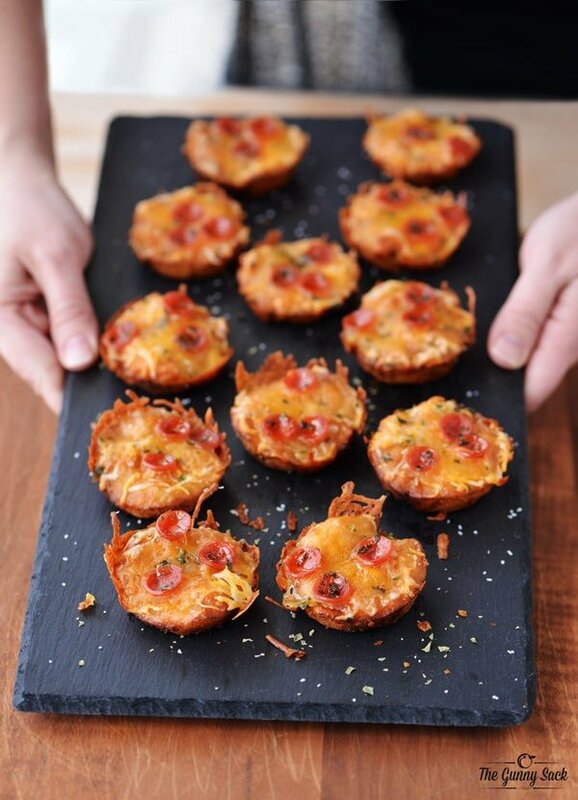 These pretzel pizza cupcakes are cheesy, salty and oh, so fabulous! Like most recipes that involve a homemade bread dough, these taste best when fresh out of the oven. But we did have leftovers and my kids said they were still delicious when they warmed them up the next day. So, if you are making them for a party, you can make them ahead of time and warm them up before serving. Or bake the crust the first time, add the toppings and then return them to the oven to melt the cheese, right before serving. Dissolve yeast, sugar and salt in 1½ cups warm water. Place dough in a well-oiled bowl and turn to coat. 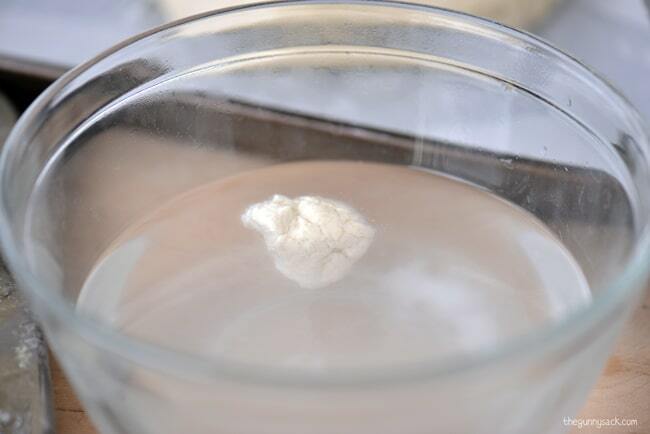 Dissolve baking soda in 2 cups warm water. 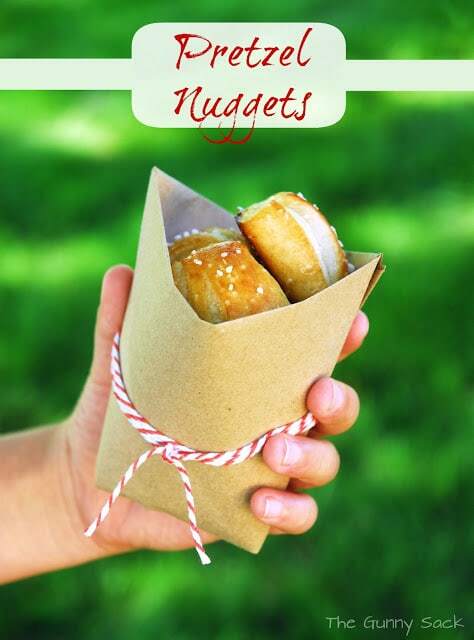 Cut off small pieces of the pretzel dough and dip them in the baking soda solution. 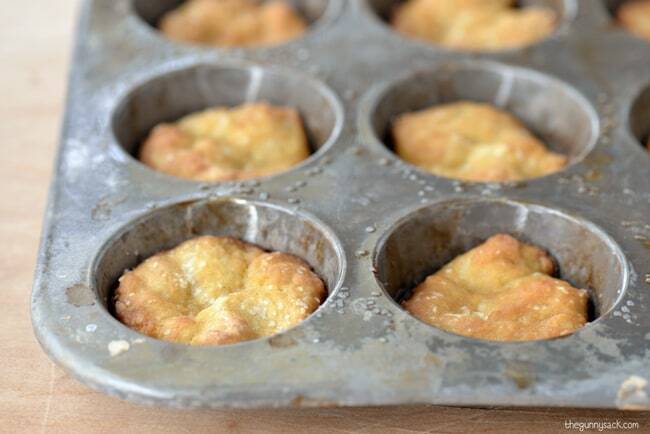 Press them into the bottom of a greased muffin tin and sprinkle with kosher salt. Bake for 7-8 minutes until golden brown. Bake for an additional 3-5 minutes or until cheese is melted. These were easy to make. I made some on a cookie sheet and a muffin tin. We actually preferred the cookie sheet. 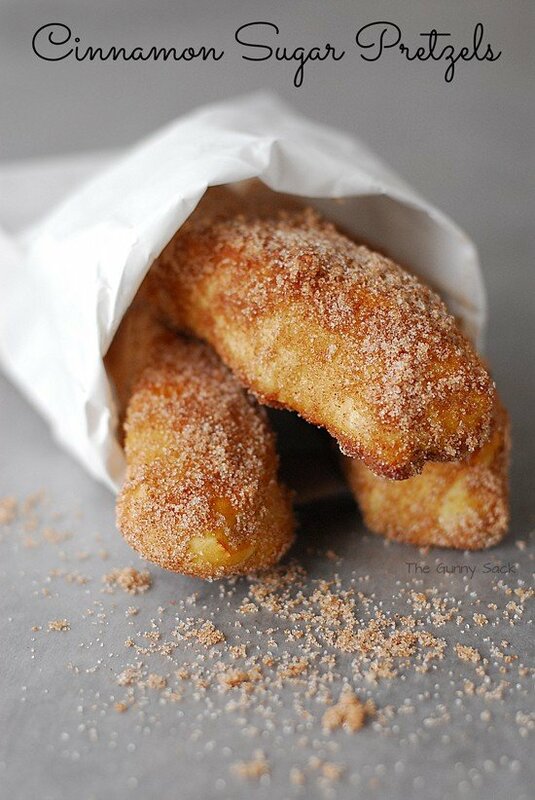 I used your idea with cinnamon sugar for the last bit of dough! What a fantastic idea!!! Pinned! I am so excited to try this pretzel pizza crust. 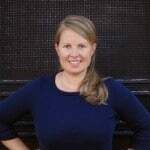 Looks great and you rock! These tiny pizzas are ADORABLE!! Pinning! This is total GENIUS! 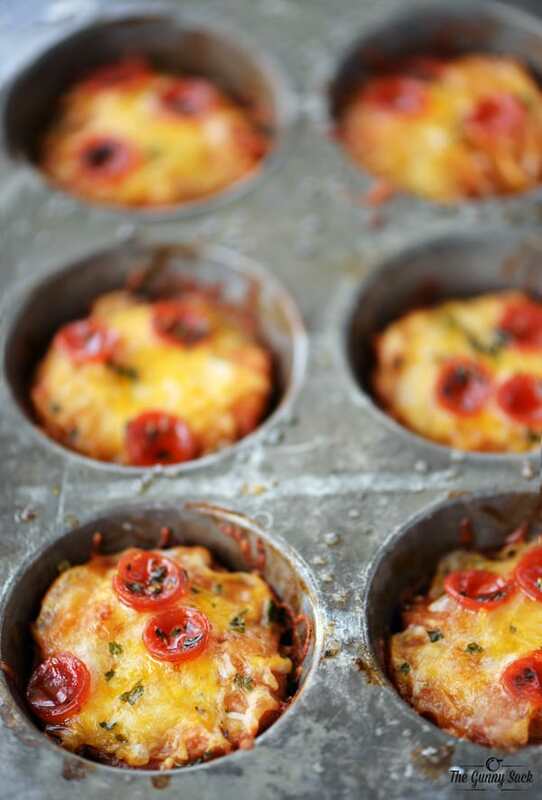 I love how you baked them in muffin tins! These are so cute! I love the tutorial for the crust! I think I am going to try a gluten free version! Um… These are amazing! I played around with pretzel crust pizzas and tried to make some smallish ones — I don’t know why the muffin tin never occurred to me! You are pretzel pizza brilliant. Totally trying these! These are so fun! I love that you used a pretzel crust and made them mini. Pinned! 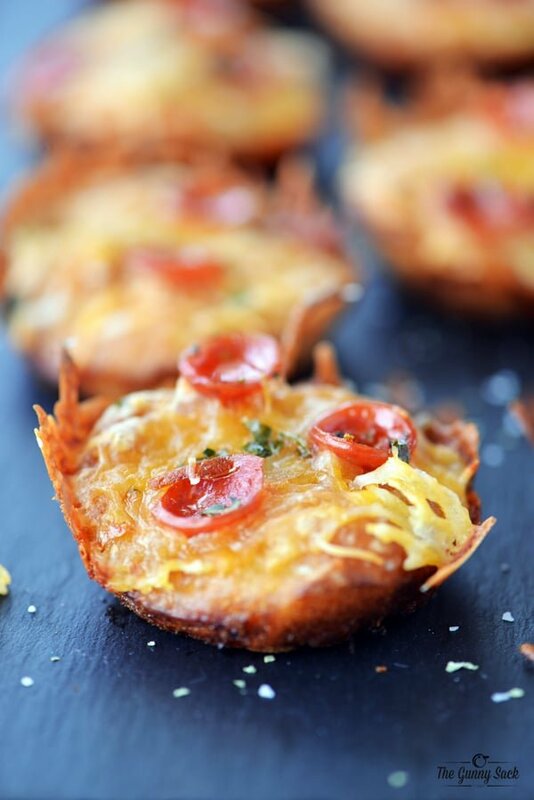 These are so perfect for a New Year’s Eve appetizer. I love the pretzel crust! These are soo genius! I love them for a New Year’s Eve party!